I've been absent from blogging for a few weeks, focusing on my geology studies in the evenings as I'm currently on my last module and really want to make it count. I've got so many lovely things I want to write about buzzing round in my head, but here's a little gem we discovered today in Hastings old town. We spotted a sign for Hare & Hawthorn, a bindery and bookshop, leading us down an alley we hadn't explored before, and there we found a treasure trove of gorgeousness. 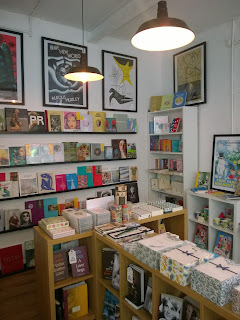 The shop stocks a lovely selection of books, including classic children's stories, plus calligraphy pens, hand bound journals and gorgeous papers. There is also a bespoke binding service available. While we were visiting we were fascinated to see the cover from an old book being turned into a keepsake box. 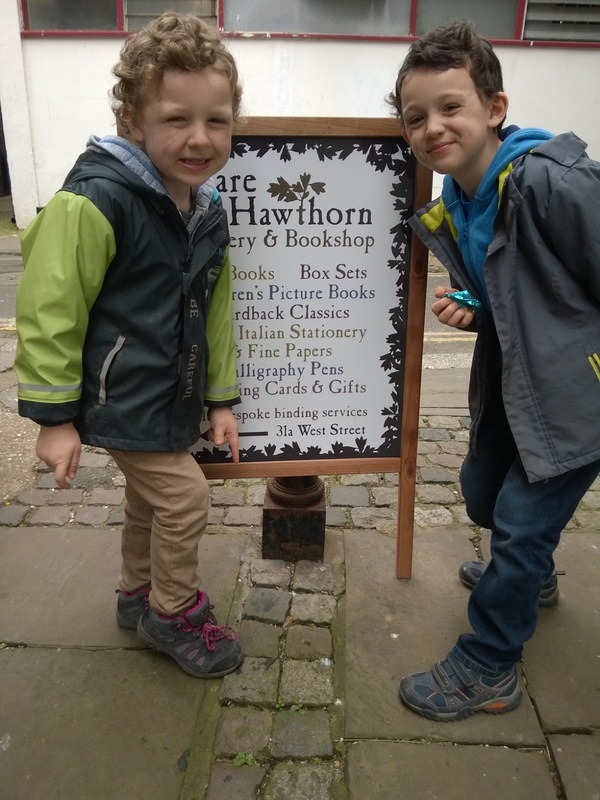 It is great to see the traditional skill of binding and repairing books alive and well in our town, and the kids were happy with their new books. They came out with a ladybird classic of The Elves and the Shoemaker for Toby, and George's Marvelous Medicine for Ollie (because Ollie's best friend is reading Roald Dahl and has got Ollie interested in him too). So if you're in Hastings Old Town and want to support a lovely local business, it's well worth a visit to this hidden shop.